Parish Advocate: Acts on behalf of those in need, and is a liaison between the parish and the diocese. This ministry’s mission is to assist people to participate in the parish life at St. Anthony’s of Padua fully, to connect with people in the parish, to reach out to those in need, to ensure that all people are able to share in the life of our church. Blessed Margaret of Castello is an Italian Roman Catholic Church patron of the poor, crippled and unwanted. 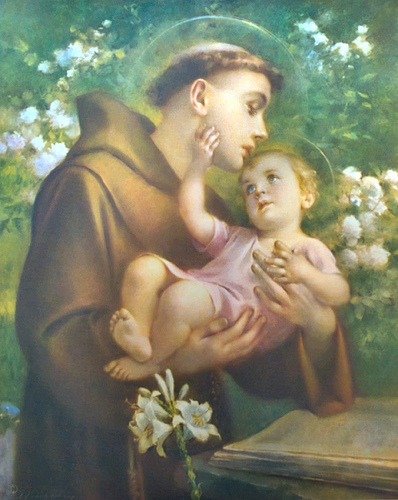 She is also the patron of St. Anthony’s Advocacy team. When Margaret was six or seven years old she was abandoned by her parents because she was crippled and blind. 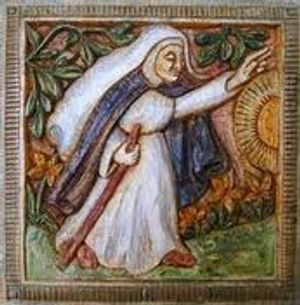 She was discovered by a group of women of Citta-di-Castello in Umbria. The group took pity on her and took charge of her; each taking a turn at sheltering and feeding her until she was practically the adopted child of the village. They declared that she was far from a burden, rather, little Margaret brought blessing upon all those who befriended her. She died at the age of 33, among friends who loved her, and was buried in the parish church, where many remarkable miracles took place. The cult of Blessed Margared was confirmed in 1609. If you have a prayer request, please send it to stanthonysprayerwarriors629@yahoo.com. Each member of the chain is devoted to this ministry and will keep your concern in the strictest confidence.